Getting in the Halloween “spirit” in the USA usually requires a long road trip to a local farm to go apple or pumpkin picking, so in NYC where many residents do not have cars, where can you go to celebrate the 31st of October with just a swipe of your metro card? 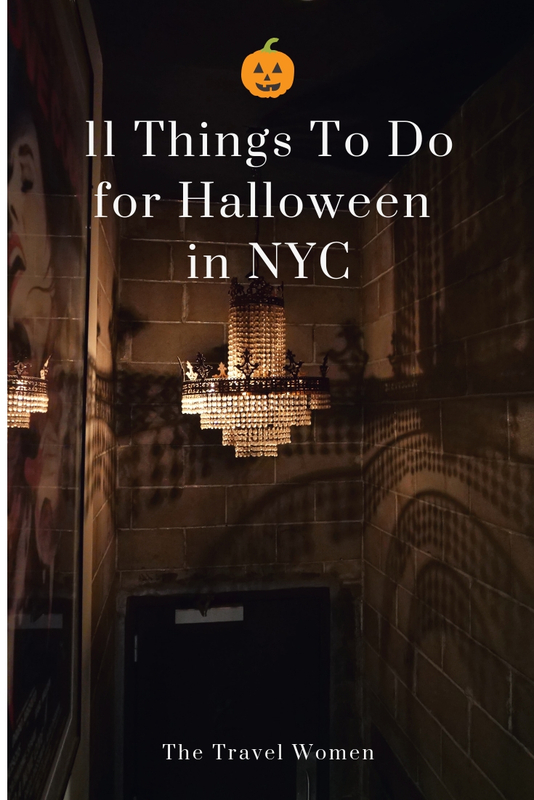 From the Upper East Side to Williamsburg here are the top 11 things to do to really appreciate Halloween without leaving New York City! 1. Crest Hardware Pumpkin Carving Contest: Go to your local Garden Center like Crest Hardware in Williamsburg, which has been a Brooklyn Staple for over 50 years. Behind the Hardware store is a 5,000 square foot urban garden center. Attend the annual Pumpkin Carving Contest where you can enter your carving creations under different categories for kids and adults or just watch the lighting of these pumpkins with music and dancing later in the night! 2. Scary Movie Brunch: Enjoy brunch and cocktails at Nitehawk Cinema in Williamsburg (pictured above) while watching a classic scary movie like Beetlejuice, Hocus Pokus or The Monster Squad. The menu even includes seasonal themed items to often match the movie. There is a Brooklyn Horror Film Festival with movies here and at other venues throughout Brooklyn showcasing new independent horror films. 3. Trick-or-treat at a brownstone: Certain houses take decorating for Halloween very seriously. Some favorite areas for the best Halloween decorations or for trick-or-treating on October 31st include the Upper East Side (UES) specifically on 82nd between Lexington and 3rd Ave and 91st between Lexington and Madison, the Upper West Side especially on West 69th Street, Park Slope, Fort Greene, Cobble Hill, the Bronx and Forest Hills Gardens in Queens. There are also several stores and malls like Brookfield Place in Battery City that host trick-or-treating. A number of stores in Midtown East, Manhattan participate in an annual trick-or-treat event for kids 12 and under. 4. 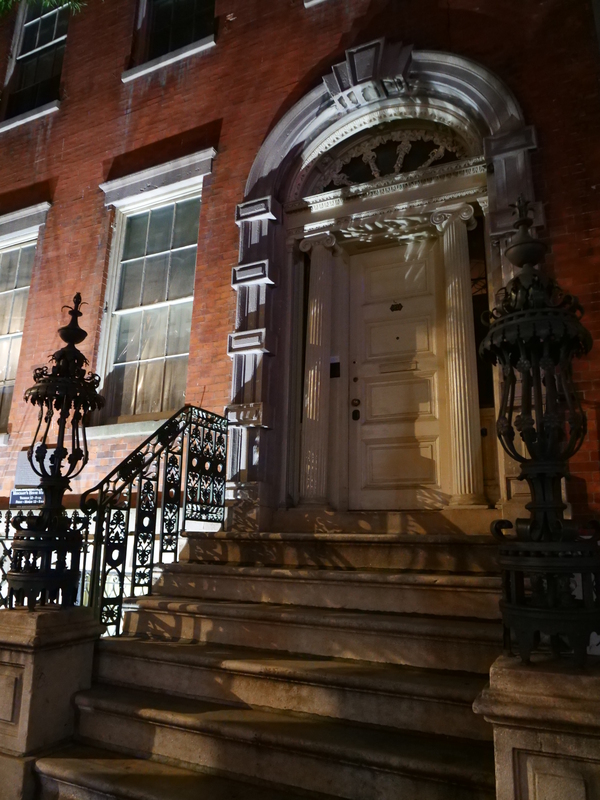 Manhattan’s most Haunted House: Visit Merchant’s House Museum, known as Manhattan’s Most Haunted House. Some say the Tredwell family never fully left their 19th century home. Take a spooky candlelight Ghost Tour or attend a Funeral reenactment or see an Edgar Allan Poe performance. 5. Hotel displays: Visit local hotels that often have beautiful displays. This year the Arlo SOHO interior courtyard essentially transforms you to a pumpkin patch or apple orchard. During their weekly “Happle Hours” you can carve pumpkins and sip cocktails like “Orchard Thief” and the “Maple and Fig Old Fashioned” for $10 from 4pm to 7pm. 6. 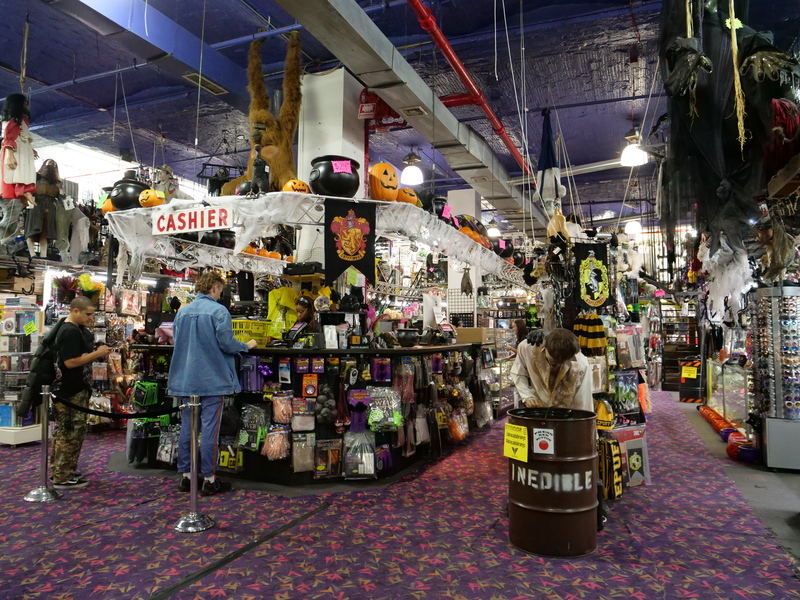 Halloween stores: Go to a classic NYC Halloween store like Halloween Adventure or Abracadabra for a large selection of costumes, accessories, makeup and anything you can imagine to complete your Halloween look. These costumes come with everything in a bag but can be pricy so these are also great destinations to inspire a costume you create yourself. 7. 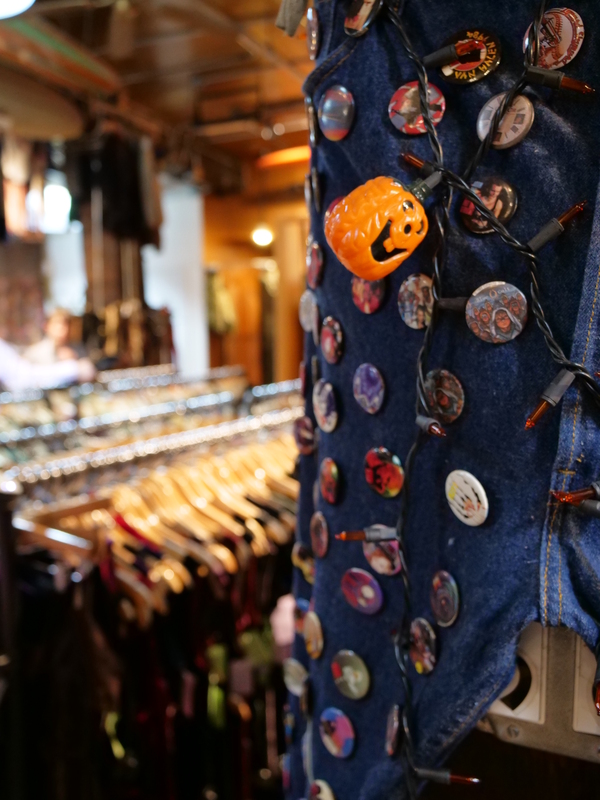 Thrift store shopping: For a fun and more affordable DIY Halloween costume, head to your local thrift stores for funky and colorful pieces that complete your costume. 8. 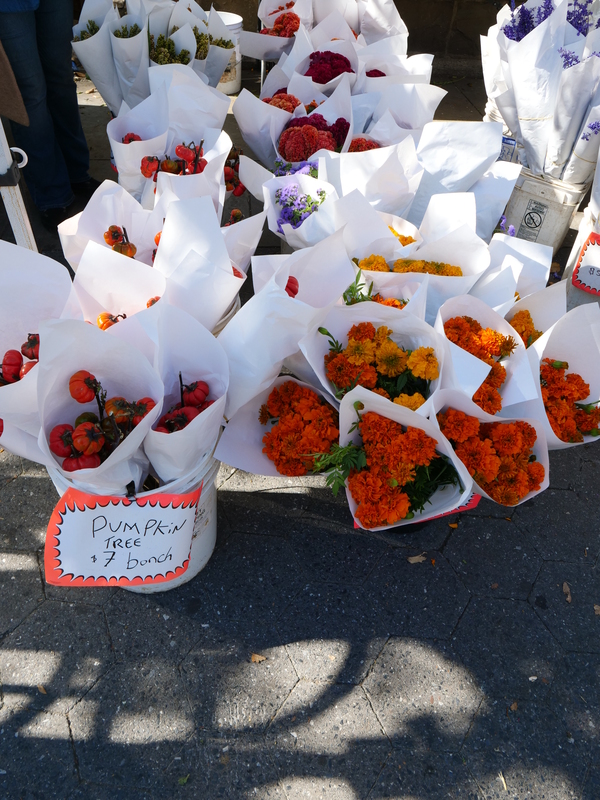 Farmer’s Market: Local farmer’s markets like the original Union Square Greenmarket, which is open year-round, have fresh apples and pumpkins perfect for pie and autumn themed bouquets of flowers or mini pumpkins. 9. Pumpkin Flavored Treats: The Pumpkin Spice Late (PSL) trend goes far beyond coffee shops in NYC. Enjoy Pumpkin flavored treats like French toast or Ice Cream. 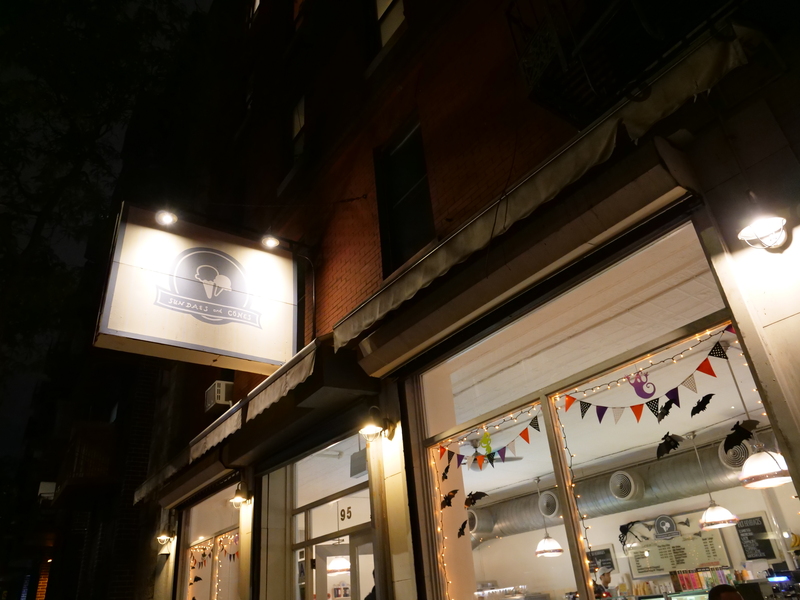 One amazing place for Pumpkin flavored Ice Cream is Sundaes and Cones in the East Village. 10. Scary cocktails: Sip on a cocktail at Beetle House in the East village, a bar inspired by Tim Burton’s movies including Beetlejuice. Four themed drinks we recommend are the Coco Skellington (rum, gin, lime, crème de coconut, orange blossom), The Beetle’s Juice (tequila, muddled blackberry, cranberry juice), Big Fish Bowl (coconut rum, vodka, gin, tequila, blue curacao, pineapple juice) and Chocolate Chocolate Martini (Vanilla Vodka, Chocolate Syrup, Milk, Whipped Cream). 11. Halloween Parades: The largest and most iconic NYC parade is the Village Halloween Parade on Sixth Avenue in Manhattan, but my favorite is the annual Tompkins Square Park Dog Parade! Kid-friendly parade options include the Jackson Heights Parade, the Ragamuffin Parade in Bay Ridge Queens and the Park Slope March. 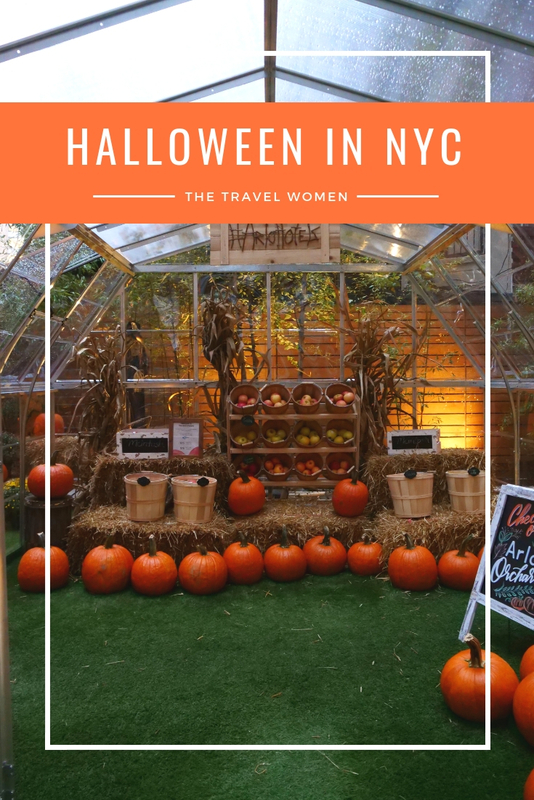 Have you ever celebrated Halloween in NYC? What are your favorite activities to get in the spirit for Halloween? wish i also can enjoy there with this halloween night.. but this time i am in the bed rest for 30 days for bad health. Last year i enjoyed a lot and spent great time with few friends. I missed all of them. Thanks for sharing the beautiful post. Oh I’m so sorry, I hope you feel better! Thank you!